Ducks and frogs and Cate … oh my! 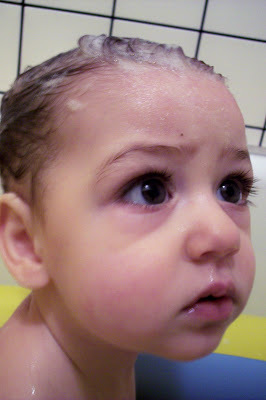 I really love pictures of babies and their baths. 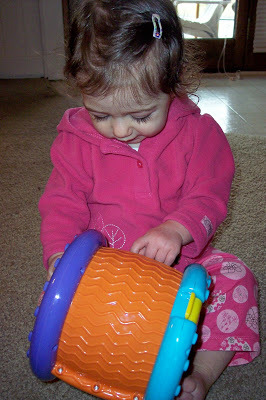 So, I decided while Cate is still a baby, I’d snap some pictures. She’s pretty little (like DAYS old …) in the last bath picture! So this is the duck that we’ve used since Cate was five or so months. She was too long for the infant tub but couldn’t really sit up securely enough to be in the tub. The duck was a great transition, one I think we’re getting ready to put away. As you can see, her long legs are almost too much for this! 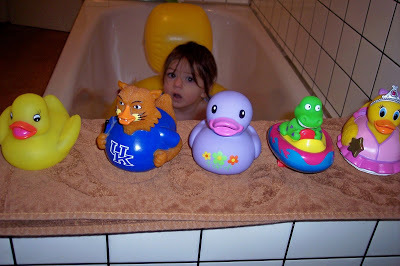 Speaking of ducks, Cate has a lot of rubber duckies … and a frog! 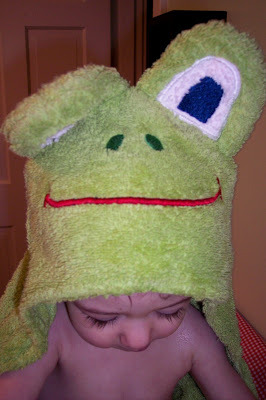 I love this towel because it’s bigger than most baby towels, and, hey, it’s cute! So this is Cate’s just-washed hair before it’s had any attention beyond a towel dry. I pulled her hair out of her eyes before she went back to playing. 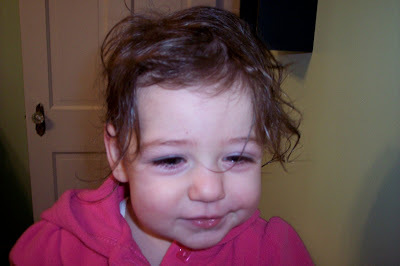 Although it wasn’t long before she decided the barrette was a good toy! She’s so cute! I’ve enjoyed watching her grow via the blog. Now I’m pretty sure I need a rubber duck collection.